Apparently I’m going through a ‘creepy children with strange powers and an odd guardian’ phase, although I have to say I preferred Miss Peregrine’s Home For Peculiar Children than this. Still, I did really enjoy it, especially as I picked it up on a whim because Firth Park library is mainly aimed at old ladies. So once again, long train rides + nothing else to read = being forced to read a book I wouldn’t have otherwise and really enjoying it. 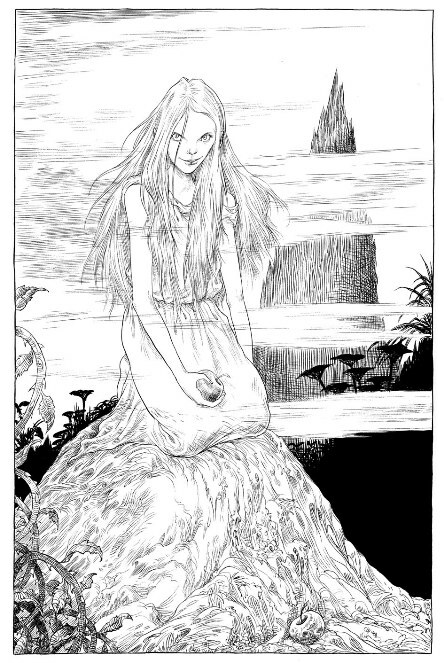 But then, has Neil Gaiman ever written a bad book? There was quite a lot of hype around this when it first came out and I’ve seen a lot of reviews since, but I never really fancied it. I’ve read Stardust, Neverwhere and I adore Good Omens, but this seemed so different from his usual work that I barely even glanced at it. I think the fact that it’s a children’s book must have put me off. But hey, shoot me with the Snob Stick (one day I’ll learn!) because it’s actually very good. It’s definitely YA. The large print, illustrations and basic language attest to that. It doesn’t lack anything for it though – I actually think it wouldn’t have worked nearly as well if it tried to be adult. That’s what’s good about this book – it doesn’t pretend to be anything it isn’t. 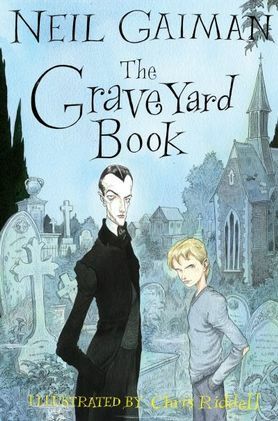 It reads as though Neil Gaiman had a really, really great time reading this book and that made me enjoy it all the more. This is a ridiculously hard book to review, although I’m not sure why. I really enjoyed it and I’ll definitely be purchasing my own copy but it doesn’t seem like there’s that much to say about it. It’s not very deep or very long, but so what? It’d make a great film/movie and I’d be amazed if a producer somewhere hasn’t already picked up on that. You can listen to parts of it on Mr. Gaiman’s website here, or read my review of Neverwhere. PS. Had to pop back and say my word verification was 'farties'… wtf? I love love love Neil Gaiman! You are totally like my reading twin 😛 i've not yet read Good Omens, although i'm giving a copy away in the UK and EU giveaway on monday… Should really read it before then I guess! @Hannah – haha, I have to pause and check over every time I write your name! Ah, I see what you mean when you said earlier about it being good to read in loud places. I found it really easy to get in to, a lot more than I'd expected. For some reason, I didn't really care for this one; I think because I picked it up thinking it would be a great read-together for my son, and it was a bit "older" than I thought it would be. But I did just finish Anansi Boys, which re-established Gaiman in my brain as an author I almost always like! @Julie – I've never read Anansi Boys, despite many, many people telling me I should! I'll get round to it one of these days, I'm sure. I love Neil Gaiman! Neverwhere's my absolute favourite, and I'm currently rereading Good Omens. I quite enjoyed this one, but it took me a few chapters to really get into it.